Candidates must be Sri Lankan men aged between 18 and 45, have "excellent moral character" and a "very good mind and mental strength", according to a newspaper advert issued by Sri Lanka's Commissioner General of Prisons. During a state visit to the Philippines in January, Sirisena praised President Rodrigo Duterte's "war on drugs", which has been criticized globally after the deaths of thousands and allegations of extrajudicial killings by the police. 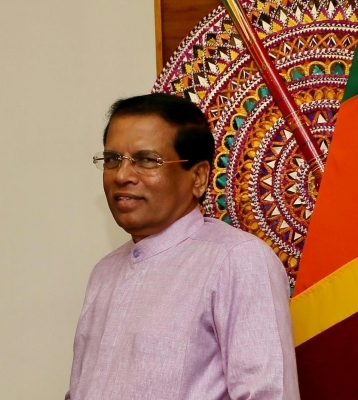 Sirisena's move to reinstate the death penalty has come under heavy criticism from human rights groups, who warn that the brutal scenes playing out on the Philippines' streets could become a daily reality in Sri Lanka, CNN reported on Wednesday. "Would he like to see Sri Lanka's most impoverished neighbourhoods become places where people awake each morning to find fresh corpses lying on the streets? Or where, in the name of protecting a younger generation, dozens of children, some as young as four and five, have been killed in the violence?" Amnesty International Deputy South Asia Director Omar Waraich said in a statement. "Does he want security forces reduced to a criminal enterprise that sponsors private killers, the rule of law to lose all meaning and a mere allegation to mean the difference between life and death?" According to reports, Sri Lanka's last hangman quit in 2014 without ever having to execute anyone, citing stress after seeing the gallows for the first time. Another hired last year never turned up for work.